Hi folks, yes, I know I've been quiet on here lately, it's just there's a lot going on right now outside of 'Chambers ...' that's just kind of burying me. Anyway, you don't want to hear about it, so on with the news and today I am playing catch up with some stuff from last week and this week so here we go! Enjoy! Stuart Smith the much talented guitarist who for the past four years has been a part of Steve Priest's version of The Sweet here in the States, has decided to call time on that. That said, I am fully aware of how frustrated Stuart is feeling about trying to get the latest Heaven and Earth album finished off. No word from Stuart - No, he won't even spill it to me! - on the album's title, but I understand that all the basic tracks, are recorded, but it does need all the other stuff that goes with it. Additional guitar parts, percussion, any vocal fixes, level adjustments, etc, etc, so he wants it done right and there's some serious money going on here and as much as Stuart has told me, I don't think he wants it known, exactly how much that is ... It is a bloody lot though! Artwork alone from Glen Wexler who has worked with so many big names from Van Halen to Gwen Stefani (No Doubt), Black Sabbath to Slaughter, Michael Jackson to Rush, so you know it's serious stuff! "Hi Alun, It was good to see you this weekend. Look forward to seeing you when I come through with Heaven & Earth in the near future. Thought I'd let you be one of the first to hear it but as of today I've officially quit Sweet. The new Heaven & Earth album is a huge undertaking and I feel I need to give it 100% of my attention. I wish the guys all the luck in the future. Stuart"
So I had to call him and see what I could find out, if there was more and there's really not. Heaven and Earth after all is his baby, along with drummer Richie Onori who's played alongside him in Heaven and Earth on the first self titled release, the follow up E.P. that was released and last album 'Windows to the World,' that was produced by Howard Leese (Heart, Bad Company, Paul Rodgers). This really means so much to him and from all he's told me, I cannot express that on his behalf, enough. The album new album will feature alongside Stuart, his Sweet bandmates vocalist Joe Retta and Richie Onori, as well as bassist Chuck Wright (House of Lords, Quiet Riot, Mr. Big, Ted Nugent) and keyboard player Arlan Schierbaum, who in fact has also featured on all previous Heaven and Earth releases, same as Richie Onori. Stuart, you know you have my support mate, can't wait to hear the new Heaven and Earth album. Rock on! Taking a detour from his main job as lead guitarist for Journey, the multi-talented Neal Schon has put the finishing touches on his latest solo album, The Calling, which will be released by Frontiers Records on October 19th in Europe and October 23rd in North America. Produced by and featuring, Schon on all guitars and bass, The Calling reunites Schon with former Journey bandmate, Steve Smith, who lends his virtuoso drum talents to all 12 tracks on the new album. Schon set up shop at Berkeley’s famed Fantasy Studios during a break from Journey’s busy touring schedule, and recorded the album, completely from scratch, in just four days. After overdubbing multiple guitar and bass parts, Schon recruited two keyboard masters to flesh out the music Igor Len, an accomplished classical, jazz and film composer who had previously collaborated with Schon, is featured on acoustic piano throughout The Calling album. GRAMMY Award-winning special guest Jan Hammer (Jeff Beck, Mahavishnu Orchestra, Miami Vice soundtrack) recorded Moog synthesizer solos on two tracks – Fifty Six and Tumbleweeds. Recently, Schon teamed up with Dan Barnett (Journey: Live In Manila) to produce the video for the first single and title track from The Calling. While celebrating the release of The Calling, Schon will be back on the road with JOURNEY as the band’s 2012 tour kicked off July 21 in Southern California and is scheduled to run through December, with most dates featuring special guests Pat Benatar featuring Neil Giraldo and Loverboy. Check www.journeymusic.com for updated tour details. The Calling tracklisting includes: The Calling; Carnival Jazz; Six String Waltz; Irish Field; Back Smash; Fifty Six (56); True Emotion; Tumbleweeds; Primal Surge; Blue Rainbow Sky; Transonic Funk; Song Of The Wind II. Sony Legacy Recordings in association with Capo Records, is proud to announce the next series of Rory Gallagher’s classic studio albums re-mastered (1975-1982). All five albums will be released in the UK on Monday 1st October for a limited period in deluxe digi-packaging. Each album has been digitally re-mastered to stunning effect from the original ¼ inch tapes and features digitally restored original vinyl release album artwork, new booklet content and extensive sleeve notes, original album reviews, rare photographs and bonus tracks. Each of the five albums will be released in three formats including CD, download and vinyl. Picking up where Rory left off with the phenomenal Irish Tour ‘74 live album, the release of 1975’s Against The Grain, found Rory at the top of his game and in sparkling form both in the studio and on stage. The next seven years saw the release of these five outstanding records. 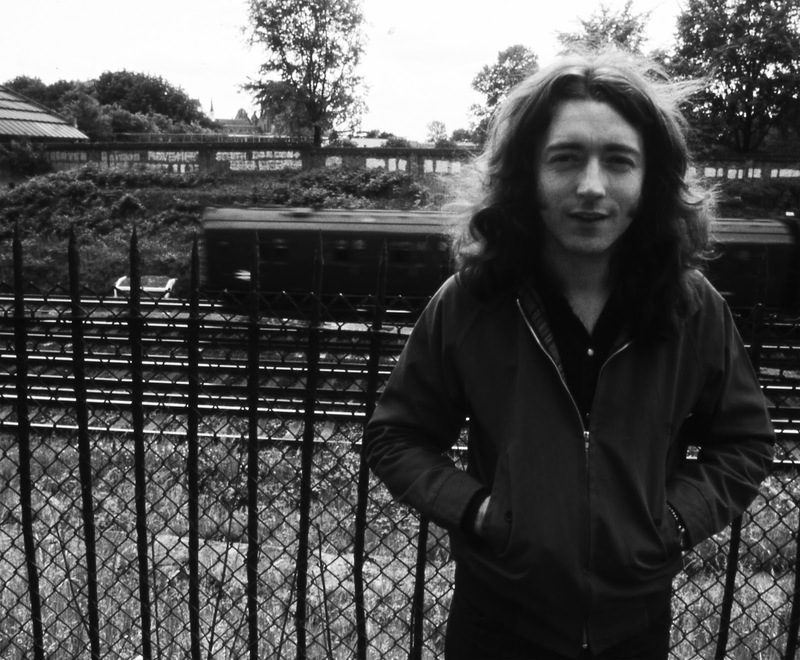 The five re-mastered Rory Gallagher studio albums include Against The Grain (1975), Calling Card (1976), Photo-Finish (1978), Top Priority (1979) and Jinx (1982). "Continuing on from last year’s 40th Anniversary of Rory Gallagher's solo career, we’re pleased to present his next five solo albums from 1975-1982," says Daniel Gallagher, Rory’s nephew and producer of the reissues. "We’re going back to the vinyl artwork and original ¼ inch tapes so that they look and sound exactly as Rory intended. It's also great to see in a digital world that the demand for a physical copy of Rory's music means we can release these albums on vinyl for the first time in almost 40 years." Let There Be Music! - the Orleans Band Plays On! After the recent passing of founding original member of Orleans, Larry Hoppen, his bandmates have decided they will continue playing as Orleans, to fufil the tour dates they previously had booked. In the wake of this tragedy, Orleans current and past members are banding together in order to finish this year's calendar of gigs. All but 2 are still on. Please see the listings at www.OrleansOnline.com/TourDates.html and, if it's at all possible, come out and see us. Deepest gratitude for the continual stream of condolence emails, texts, voice mails and phone conversations. I am humbled and blessed. So sorry I cannot speak with or write back to everyone, but the sheer volume is overwhelming. Please know that every single expression of love has been read or listened to and then saved.